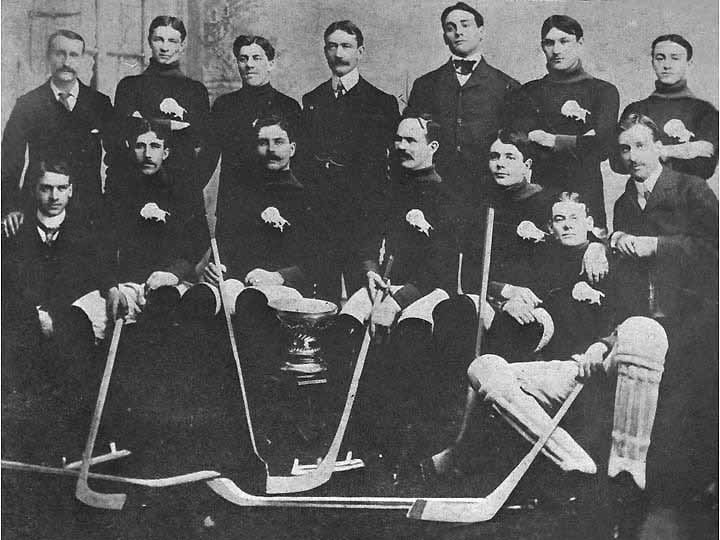 After two unsuccessful challenges the Winnipeg Victorias regained the Stanley Cup late in January of 1901. Defeating the Montreal Shamrocks 4-3 in game 1 and 2-1 in overtime in game 2. The roster was: Art Brown(goal), Rod Flett(point), Jack Marshall(point), Magnus Flett(coverpoint), Burke Wood(rover), Dan Bain(center -Captain), Fred Cadham(center), Charles Johnstone(left wing), Tony Gingras(right wing), Jack Armytage (President), George A. Carruthers (Vice President), Mark Hooper (Trainer), Ted Robinson (Sectary-treasurer), Walter Pratt (Director).